Phoenix, AZ, WPH Press, 9/15/17- Junior handball is thriving in Phoenix, with a flourishing collegiate handball program at Arizona State University and a rapidly developing high school handball program. Arizona State Head Handball Coach Dan Willeford leads the ASU Sun Devils in weekly practices, as the squad prepares itself for the USHA Collegiate Nationals in February. In preparation for February’s Collegiate Nationals, Coach Willeford leads his team to weekend tournaments in Arizona and beyond. Six Sun Devil stars recently traveled to the Tucson R48 Pre Qualifier, where each of the collegiate players competed against the best players in the Southwest. 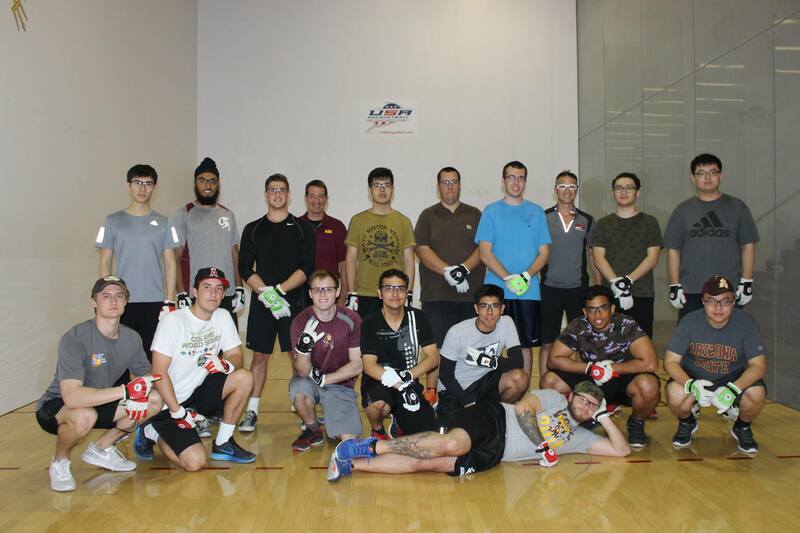 In addition to coaching the Sun Devils team, Coach Willeford leads a one-credit handball course, attracting up to 30 new players each semester. When Coach Willeford is not coaching his ASU handball team and teaching handball classes at the university, Coach Willeford is coaching and organizing 3-Wall high school handball clinics and tournaments in Phoenix.